Two of the top Republican leaders in the Iowa Legislature gave a few details today on the agenda they’ll pursue in January. Senate Majority Leader Bill Dix of Shell Rock says he is one of the few legislators who were around the last time the Republicans controlled the House, Senate and governor’s office. “The message that I am taking from voters is that they expect us, for lack of a better term, to kick the door in. We don’t expect government to continue to do business the way that we have,” Dix said. 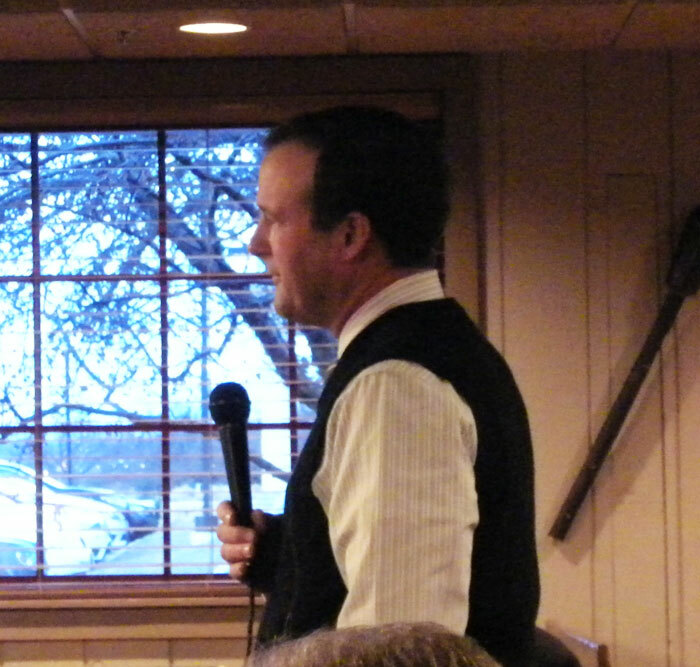 Speaking at the West Side Conservative Club meeting in Clive, Dix said the state needs to not overspend and create policies that grow the state. He cites education funding as a key example of why the state needs to grow. Dix said tax reform is part of the solution to helping the state grow. “High income tax punishes people who want to work, save and make investments in our state. And we need to recognize that. And the states that have grown the fastest the last couple of decades across our country today are the ones that either lowered their rates, broadened their base, kept things simple, or moved to no income tax at all,” according to Dix. On another issue, he expects to Senate to handle is requiring an I.D. to vote. “Without question we need to continue to work to ensure higher levels of integrity in our voting system. And one of the best first steps we can do that is in voter identification. A voter I.D. is clearly something we can do,” Dix said. That statement drew applause from those in attendance. Dix told reporters after the meeting he did not have time to answer questions on his remarks. House Majority Leader Chris Hagenow, a Republican from Windsor Heights, was also on the program. He told the group he is excited to have a Republican Senate to work with. Hagenow said House members have had some initial planning meetings, but haven’t gotten down to specifics just yet. “We have to still talk in terms of themes and top priorities, and then once we come around to January and work on that. But what I can say, is in the Republican majority in the House we did a lot of these things. Over the last six years some of the bills that we passed are going to be the starting point going forward,” Hagenow explained. He said many of those things were blocked when the Democrats controlled the Senate, but now things like water quality will be back on the table. “We did a big bill on that last year — it didn’t pass the Senate. 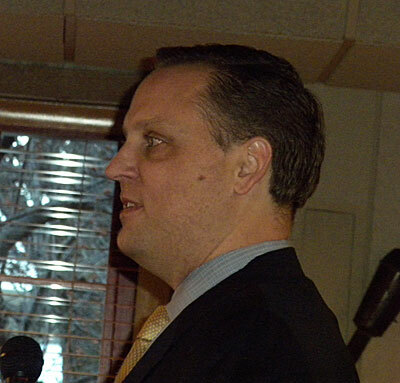 There’s the starting point for what we’d like to work on water quality,” Hagenow said. He listed tax reform as another important issue for the Iowa House. “We passed tax cuts, we passed different ways to reform the tax code in the past- there’s the starting point,” Hagenow said. “And I now that’s something Senator Dix cares passionately about and his caucus does too. Are there changes to Iowa’s collecting bargaining laws? Well, we’ve had some common sense ideas that we’ve passed in the past.” Hagenow said the changes to collective bargaining laws, like other issues, were blocked by Democrats in the Senate. Hagenow said it looks like Governor Terry Branstad will be in the state for much of the legislative session and when the governor does leave to become Ambassador to China, he expects little to change in the working relationship Republican legislators will have with new Governor Kim Reynolds.